Another year, another Just Dance game and 2019 offers up a very familiar formula. At first glance the only new features of this game compared to the 2018 version are new songs – but are things different once you dig down? It would be wrong to start by not mentioning the tunes that are in place and there are 40 songs to choose from in Just Dance 2019, with a reasonable mixture of familiar recent hits such as the ‘Finesse’ remix by Bruno Mars and ‘No Tears Left to Cry’ by Ariana Grande. As usual, the 2019 edition offers up a few classic hits such as Elton John’s ‘I’m still Standing’ too. This time round though and Just Dance includes more international hits than previous games. I had to google who BIGBANG are (answer: a K-pop boy band), who are included with their hit ‘Bang, Bang, Bang’. It is for this reason that I am not as impressed with this year’s mix but then again I am a year older and drifting further and further away from the age of the target audience. However, a quick survey using my 15 year old told me that he didn’t know most of the songs either. However, if you are like me and crave something a little different to boogie to then the good news is that there are another 400 extra songs available with Just Dance Unlimited. You get one month’s free trial with JD 2019, so timing this with Christmas will give you plenty of party entertainment with a song for everyone – even Auntie Beryl. However, if you then want to extend your subscription into the new year it will cost you. 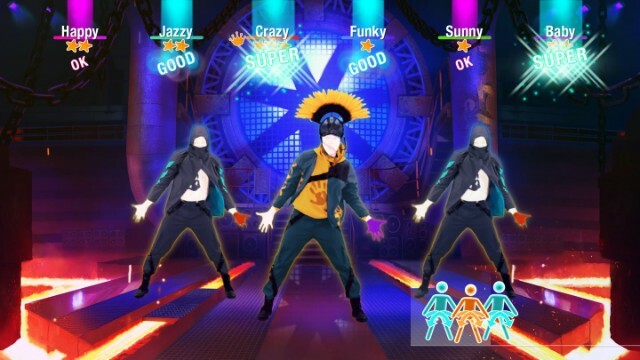 There is also the option of choosing the Kids mode where the songs and dances are suitable for younger children – think Disney and nursery rhymes – and so it must be said that Just Dance 2019 caters for all audiences and ages. In terms of the actual gameplay nothing much has changed. As per usual you can choose whether to use Kinect or an app on your phone to track your moves. I’m sure that Kinect is more accurate because the phone just tracks the placement of your hand – when it works at least because the latter most certainly seems to be super temperamental. Either way, Just Dance is always more forgiving than other dance franchises which seem to have come and gone. It is reasonably easy to dance well, which the game reinforces. If you are okay it will give you a, well, OK. If you manage to match more moves of the on-screen dancer you will get a good, an excellent or a super. You also gain stars as you dance – hit 5 out of 5 and you will be declared a Superstar. After each dance you get a numeric score and whilst this may not be of interest to many, managing to bag the highest that week from all the dancers around the world will see your name and score displayed against the song – not something I have achieved just yet. 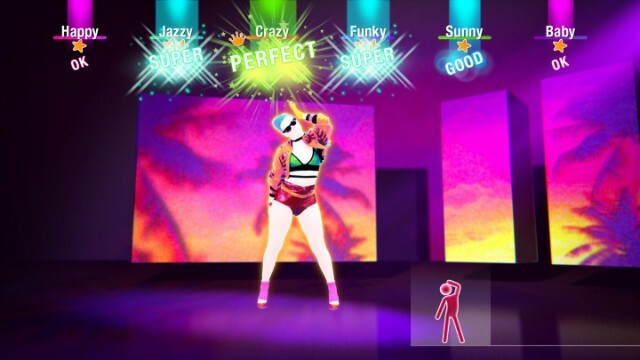 Dancing well also earns you Mojo, which you can spend on new avatars and extreme or alternative versions of the songs with harder dance moves, giving even more reason to play. There is less variety in what you can buy this time round. The lack of stickers is not a particular issue but we have had to say goodbye to the Dance Lab, which was an additional feature of Just Dance 2018. If you find yourself tiring of hitting personal bests, then the World Dance Floor makes its return. Here you can dance against others, watching your rank go up or down depending on how well you are doing. You can also take part in team dances, whereby your score can help your team to victory. In terms of the interface, it is here that we see a few new features arrive in Just Dance 2019. The game is easier to navigate, with a series of tabs on the left side of the screen. The top one is your homescreen where you where can enter the World Dance floor or read the latest Just Dance news. Another tab takes you to playlists, which are collections of songs. The first three lists are recommended by the game for you. You can choose between your top replayed songs, songs recommended for you and ones that are most popular in your country. However, these are all based on the 40 songs in the game so don’t offer up much variation. You can also favourite any song you have danced to, which collates them into a handy playlist. This is good for those times where you want to just hop on for a quick dance. Themed playlists make a return but these seem more current than in previous games. For example, to keep it seasonal I could choose from a Halloween playlist with a collection of suitably spooky songs, or a Queen playlist to coincide with the movie release of Bohemian Rhapsody. These change frequently, and offer a way of exploring the hundreds of songs available in Just Dance Unlimited. However, if you don’t have the subscription these songs are unavailable. The list of songs are located under another tab. I found these easy to search through, if a little time consuming – although that isn’t necessarily a bad thing. There is a search feature where you can hunt for songs via their titles, but one handy feature that is missing is the ability to search Just Dance Unlimited by genre. 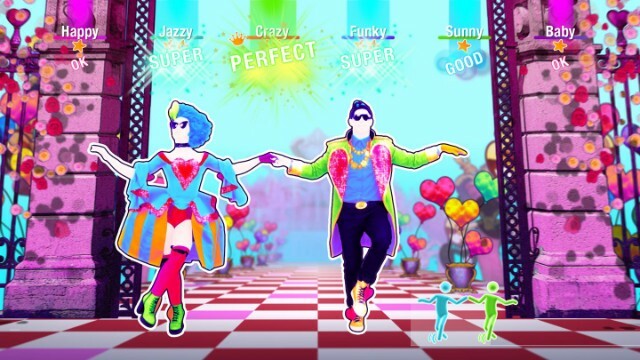 At the end of the day, the development team have obviously decided not to tamper too much with a well tried formula so there are no amazing new features to be found in Just Dance 2019. The personalised feature sets are an attempt to improve the user experience but don’t add much to the overall experience and the game is fairly limited in terms of song choice without a pricey subscription to Just Dance Unlimited. 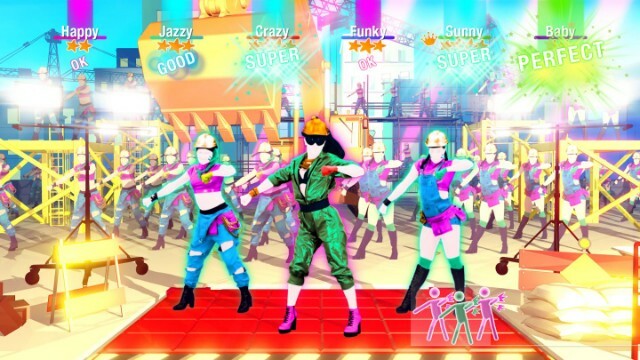 If you have been a fan of previous Just Dance titles, then once more this will be one that will appeal, especially if you have a subscription to Just Dance Unlimited.